You’ve worked hard for your home and it’s probably your biggest investment. Doesn’t it make sense to protect it properly with the right North Carolina Homeowners Insurance? 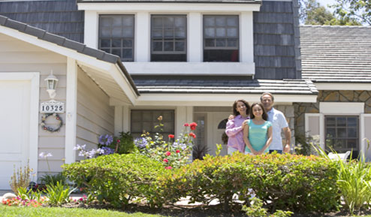 Call 866-869-3335 To Get the Right Homeowners Insurance Protection For You at the Lowest Cost! All North Carolina homeowners policies are not created equal. There are special limits of coverage, exclusions and endorsements that separate good homeowners insurance from bad homeowners insurance. By discussing your specific needs with a professional that has insured thousands of North Carolina homes and has satisfactorily settled hundreds and hundreds of North Carolina homeowners insurance claims. Our protection team can help you determine how you should be protected plus find ways to help you save money at the same time. Will Your Current North Carolina Homeowners Insurance Policy Cover You When Something Bad Happens? Everybody has different needs and a standard North Carolina homeowners insurance policy will not cover everyone for everything. Here are a few pitfalls that are often not covered unless addressed in a standard homeowners insurance policy. Heather and Mike return home on a Sunday evening from a long weekend at the beach. They pull into the garage and open their car doors and noticed a horrible stench in the air. “What is that?” says Heather as she holds her nose. “I don’t know.” says Mike with a disgusted look on his face. Mike goes to the door from the garage that leads into the kitchen and saw that there was some kind of liquid that had seeped from under the door into the garage. “Yuck!” exclaimed Mike. Then he reluctantly and slowly unlocked and opened the door and the smell of sewage almost knocked him down. He had to run outside to catch his breath with Heather right in his foot tracks. The neighbor next door came out his house when he saw them pull up in the driveway and came over to their front yard where they stood gasping for fresh air. It turns out he knew what happened. Apparently, Friday night, there was a major backup that poured sewage into 4 other other homes on the block. He was home that night and was able to contain the majority of the mess but other neighbors we’re out for the evening. To make matters worse for their neighbors, all of their insurance policies excluded coverage for this kind of damage except for Mike and Heather. They had this special coverage added to their policy by their agent and we gladly helped them get their house back to normal. True Story! So, what pitfalls are hidden in your current homeowners insurance policy? A thorough periodic protection review will determine if your NC Homeowners Insurance coverage will be there when you have a claim. After all, that’s why we buy homeowners insurance right? Doesn’t it make sense to have the right protection for you when something bad happens? Our team is here to help you accomplish this. Call our office at 866-869-3335 today and we’ll be glad to give you a free 21 point protection review and help you get the right protection specifically for your needs. Plus, we may even be able to find some ways to save you some money! What Does the Standard North Carolina Homeowners Insurance Policy Cover?